andreas | beccai | observations shared. andreas | beccai – observations shared. On Saturday, I witnessed Walla Walla Valley Academy Orchestra, play music in a rehabilitation & nursing home. This home receives a two star rating on yelp, the residents do not live in the lap of luxury. Their ailments are many and diverse, and hope is swallowed up in the muddy beige walls of their building. The staff for the most part look drained of all but a modicum of joy. While their bodies are present, the bulk of their affections don’t seem to have survived the trudge from the car park to their work station. The residents stalk along on crutches, drag contraptions with tanks and tubes, or are pushed in wheelchairs from room to room. The drama played out is almost ghoulish, it seems that there is a delicate silken thread that holds the residents to life in the present, and the thread can be snapped at any moment. When the orchestra begun there were about 15 residents and a few staff aides in the room. They listened, raptured as music poured from the assembly of stringed instruments. Some sat erect facing the music, others turned their back heads lolled to the side, and some closed their eyes in concentrated breathing whilst letting the music wash over them. When the orchestra begun their third and final piece, more residents were wheeled into the dinning room, drawn by the power of the sweet melodies. The nurses who would normally leave, stood enchanted in the door way and listened. Residents who had lost the power of speech groaned and mumbled guttural expressions of joy, others wept with joy, clasping their hands as if offering a prayer of thanks for the majesty of the music. Through music, light pierced the gloom, and blossomed in hearts a spring of beauty. Those 30 minutes were salubrious for the residents and staff. Flesh and sinew grew on the spectres with each song, clothing them with dignity and reverence, sons and daughters in the Imago Dei. I was reminded that no matter how cavernous the darkness, light, love and beauty will ultimately triumph. I’m not sure of the circumstances that led to his present condition, and frankly it doesn’t matter. What did matter was that this large gentleman, this double amputee, needed help – and fast. He was being pushed by his wafer thin companion, and it was obvious that the combination of gravity and Seattle’s hills would halt their progress in short order. What happened next was a picture of the life that God summons each of us to. A Father, who had been in our group of parents and youth feeding the homeless, saw the pair struggling and went to help. He got behind the wheelchair and started to push. At the very same time his son, who is 4 years old followed him and said “Daddy can I help?” Without waiting for an answer, he put his small hands, on his fathers large back and “helped” him push the wheelchair. The scene brought tears to eyes in the group, and capped a magical time of service. Every time we make ourselves available to be extensions of Gods kingdom amazing things happen. (The happening’s are mostly very ‘ordinary’, and easily missed because of the false notion that kingdom movements are announced with fireworks and press coverage.) Everyone who was looking at the boy ‘helping’ his father knew that wheelchair was not progressing because of the child’s strength. Passers by smiled not at the boy’s muscle power but at the largeness of his heart, and the nobility of his intentions. Without the father all the boy’s efforts would have been in vain. 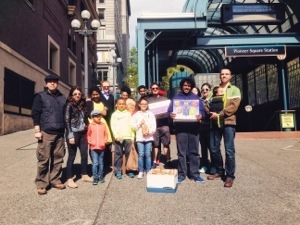 As the group debriefed outside Pioneer Square Station, we reflected on the truth that handing out 120 sandwiches with water and granola is not going to solve the problem of homeless or hunger in Seattle. Ours was not a mission of deliverance, but a liturgy of benediction on all those sons and daughters of Adam imaged by God. We act in the present, as we believe we will live in the future. The ultimate deliverance is not by us the children, but by our heavenly father, who has unabashedly adopted the CEO and the AA attendee into his divine family. 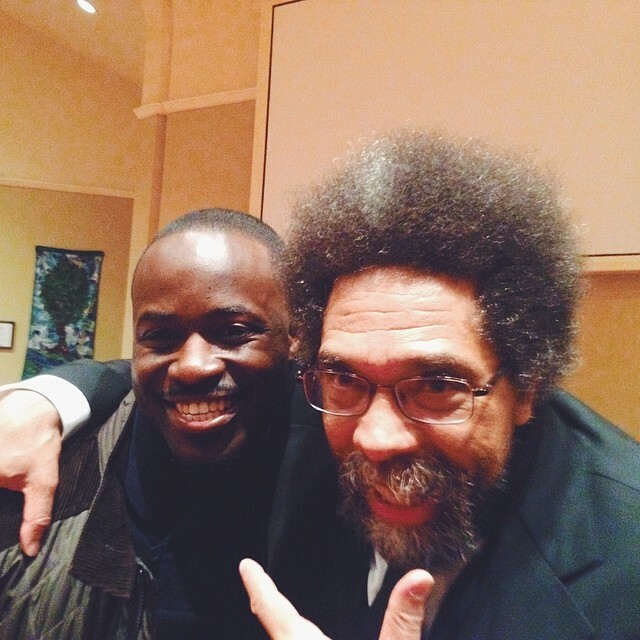 Prisoners of Hope – On Cornel West and Abraham Joshua Heschel. On Saturday night I had the opportunity to listen to Cornel West (Professor, Historian, Philosopher and Social Activist) wax eloquent about the work of Rabi Abraham Heschel, and how it fertilised the soil of his imagination. *End note: In the past 6 months I have heard N.T Wright, Walter Brueggemann and Cornel West speak in Seattle, although they traversed different topics, they are all soul mates in subversive biblical imagination, and advocate for the arts to be attendant with theology. The journey has been fresh and challenging, and leaves me hope-full in Jesus. With this newfound imagination I am excited in partnering with God in His activity in my church and city. MLK Jr. day was on Monday. I went to my first march and it was incredible. 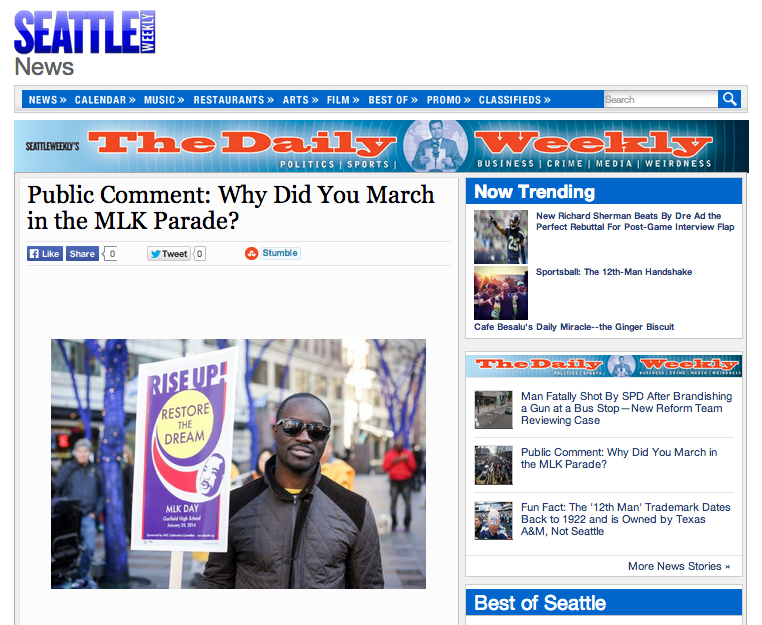 The march snaked for two miles along Seattle’s streets. 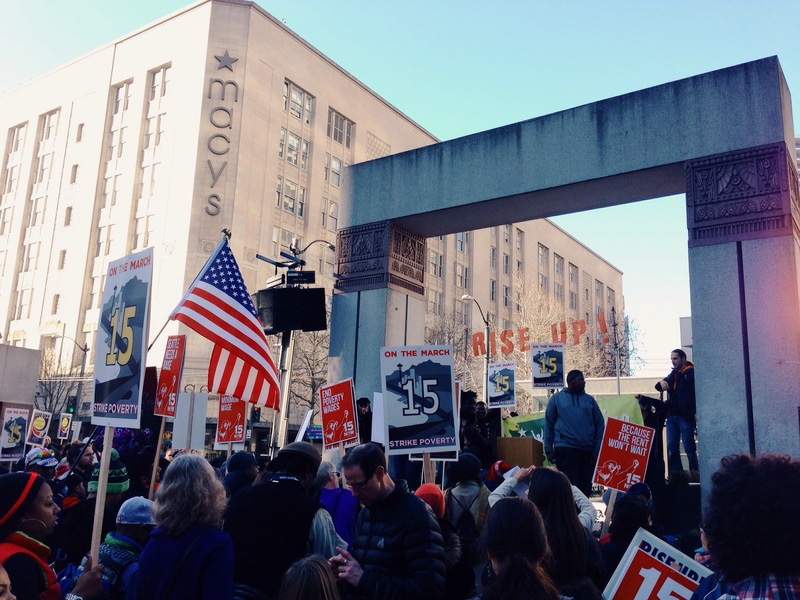 It started in the Central District, and moved through Capitol Hill, ending at WestLake Park. A multitude of people, fighting for a plethora of causes, turned up to have their voices heard. There were friends and families fighting for the Free Nestora Salgado Campaign. 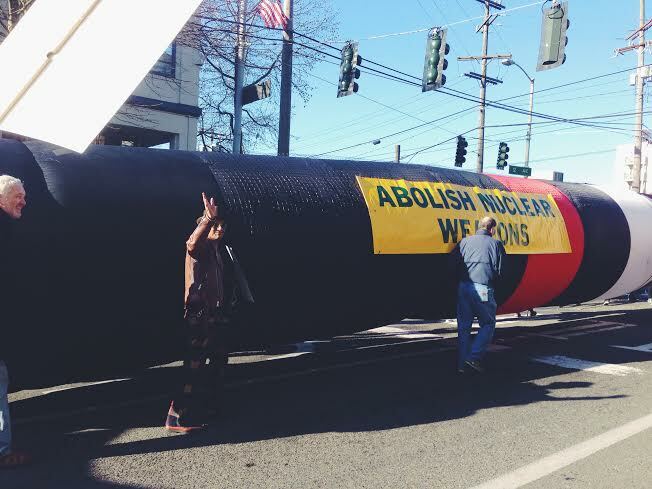 There were those against mangling and powerful nuclear weapons that nations spend millions of dollars stock piling. There were Buddhist for peace, Iron Workers, Steel Workers Union, Teachers, Black Panthers, Communists, Socialist, The Rainbow Coalition, and every other strip in between. The largest faction of the day were the $15ph minimum wagers. Led by newly elected Socialist city council member Kshama Sawant, they were a sea of effusive crimson platelets surging forward for their cause. I am aware that many of the feet that ate up ground with me that day, would go in radically different directions to me on many, many issues. Be it economics, race, sexual ethics or religion, but there was a chord that bound us together. There was a throbbing, prophetic impulse, that echoed the Isianic cry of all humanity – “Oh! That you would rend the heavens and come down.” Is 64:1. It is a realisation that all is not well with the world, creation groans for redemption. Although these modern prophets and preachers would balk at my religious reading of the march, to me it was 2.1 mile prayer offered. Joyful, intense, crude, sweat stained prayers; cries exploding from human hearts for heaven to influence earth again. During the march, I saw around me a congregation of brother’s and sisters, mothers and fathers desperate for the will of the Father to be done. Sure, some of them see through the mirror dimly (don’t we all?) and some don’t even believe the mirror exists, but I know they echoed the heart of the Father. My heart has been full, but aching, since the march. As a witness of Christ’s inaugurated kingdom, and a herald of the renewal of all creation, I want to meaningfully demonstrate the gospel to my brothers and sisters in the here and now. Bill Johnson in his book Hosting the Presence, p96 makes the point that since the treasure of heaven (the Holy Spirit) has been released amongst us. “To look for another open Heaven is to incorrectly steward the one we’ve been given.” I pray that we will all be faithful stewards of our cities, towns, villages, hamlets and homes in 2014. I pray that we will add our time, voice, and money in coaxing the moral arch of the universe to bend toward justice. I came home last night around 10pm. My wife had told me that our daughter was still up, which is unusual for her. Nothing could have prepared me for what happened when I opened the front door. My 7.5 month year old daughter saw me, and before I could take another step in the house she squealed. A toothless, dribbling laugh that arrested all my worries, and incarcerated by concerns. 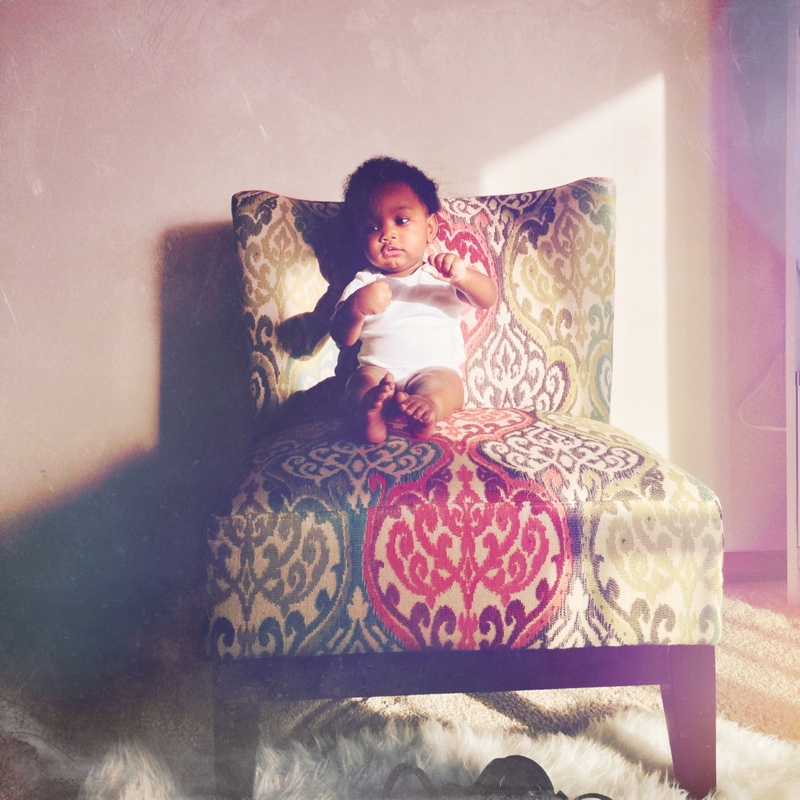 Then she started to jump ecstatically on my wife’s lap, and beckoned me toward her newly created euphoric space, with her plump little hands. I breathed in every last drop of her sweet happy dance, and burst into a smile. After exiting the stage of the days events, where I am judged on my performance, and critiqued on my output, it is soul restoring to slip behind the proscenium, and be anointed by the rich adoration of my daughter. Not because I performed, but because I exist. In that moment she transformed ordinary life into a eucharistic act, and became a faithful witness of God’s unfettered love to me. 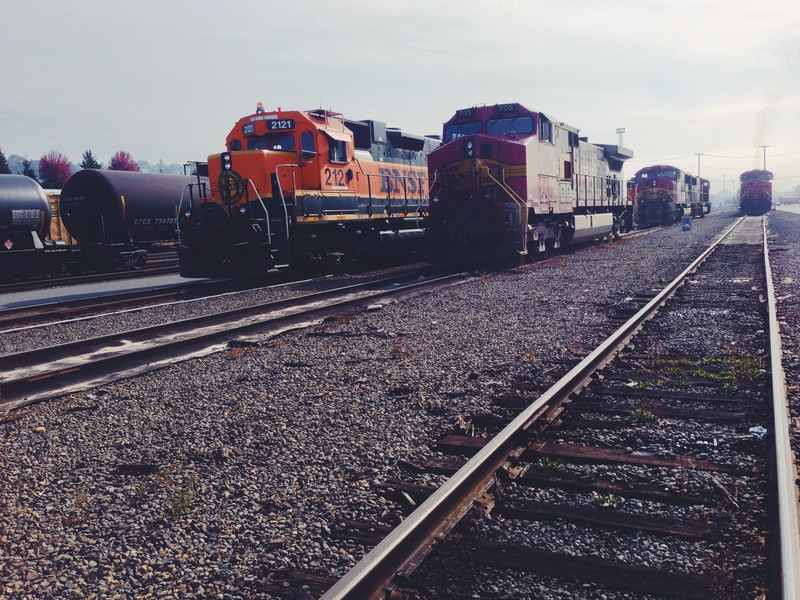 How to lessen your chances of being railroaded. Sometimes in life, we make decisions that take an awful turn for the worst, and it is entirely our own fault. We can’t divorce ourselves from the blame, we messed up royally, and have to deal with the consequences as gamely as possible. There are times though, when we are the unfortunate animal, that is crossing the train tracks when the 14:02 comes barreling into us at 90 mph. We heard it coming, we felt the rumble, and saw the leaves of the tree quivering. Still we thought – ” I’ll be across well before it’s even close,” but we were wrong, and horribly so. The impact is terrifying in its brutality, we breathe our goodbyes to life as we know it. A few minutes later we wake up, astonishing! We survived, we are still alive. So we pick ourselves up, and survey the damage – we are a bruised, blooded mess of arms and legs. I was recently railroaded. I should have seen it coming, but I assumed and inferred rather than establishing and confirming. If I had taken the time to double-check, I would have found out that the 14:02 is always three minutes early on Wednesdays. So friend, even if you are sure, there is no harm double checking. Make the extra phone call, clarify the email, repeat the question. I won’t put a percentage on it, but I am sure that we could save ourselves at least 87.3% of life’s anguish (I guess I did put a percentage on it) by being thorough in our home work. A good week to you, Peace! These are the opening lines of the revealing article “It’s complicated” written by Luke Whiting in Spectrum magazine 3 weeks ago. Luke traces his life as an Adventist from a student in a small independent Adventist school, to a leader in GYC, to a pastoral position in the Michigan conference and finally to San Francisco working for a tech startup. As I read Luke’s article it occurred to me that his story in many aspects was the story of many Adventist children. I also realised that his story could fit well within a framework that charts human interaction with ideals, animate and inanimate. The framework is found in C. S. Lewis’s essay “Talking about Bicycles,” which was first published in Resistance in October, 1946, and later collected in Present Concerns. 1) four ages. I can remember a time in early childhood when a bicycle meant nothing to me: it was just part of the huge meaningless background of grown-up gadgets against which life went on. 2) Then came a time when to have a bicycle, and to have learned to ride it, and to be at last spinning along on one’s own, early in the morning, under trees, in and out of the shadows, was like entering Paradise. That apparently effortless and frictionless gliding—more like swimming than any other motion, but really most like the discovery of a fifth element—that seemed to have solved the secret of life. Now one would begin to be happy. “How do you mean?” said I.
I applied this to Luke’s story, distilling what I thought was the essence of each stage and filling in obvious holes. Unenchantment: As a child he was unenchanted, oblivious to the worldview that his parents espoused, he went to church but was not yet capable of making independent spiritual decisions. Enhancement: As he grew up he was sent to a 40 student self-supporting institutions that did their best to follow the “blue print” – the master plan of education supposedly left to us by Ellen White. He would spend his time in bible memorisation and hymn singing, and he would preach evangelistic campaigns, knowing the 2300 day prophecy by heart. He went to southern as a nursing major and because of his work for GYC he was hired by the Michigan conference to pastor. He was living the dream. Disenchantment: It was then that everything begun to unravel. All his ideas, his bible studies, his pad answers that had worked so well in casual meetings, began to face challenges as they came face to face with complex and broken people. He had a friend who turned his life around on a mountain and became a buddhist. He met loving people who worshiped on sunday, hard-bitten atheist who gave sacrificial to orphans and volunteered their time, a was spiritually fed by a tattooed female pastor. He soon started to wonder if he was the one confused and not them? He studied mountains of theology, but the questions kept ringing. Soon he felt that he could not in good conscience continue drawing a pay cheque from the his conference and he wrote his letter of resignation and was left paid ministry. Re-enchantment: Luke concludes his article with this paragraph “It’s been a few years since that turbulent year in Michigan, and I’m still navigating the implications. My Facebook relationship status with the church would read “It’s complicated.” I’m learning to embrace the tension and am realising that the questions are often more important than the answers. Life is nothing if not a mystery and adventure.” – I don’t consider this re-enchantment but he is coming out of the valley of disenchantment, and charting an upward course. Those who responded to the article in Spectrum I would classify for the most part as being “disenchanted.” They gave Luke virtual fists bumps, and hailed him as being enlightened because the scales had dropped from eyes. They all but coronated Luke’s disenchantment, but few held out any hope of the possibility of re-enchantment with the church and the message that Luke once was enchanted with. For them enchantment was naive and immature. There were others who fought back, and labeled Luke a defector of our faith. They stood upon the hill-top of enchantment and cast stones at Luke for his weak faith and fragility in ministry. I have friends who have experienced cycles in their spiritual life akin to Luke, I have trodden a path with similar vistas and because of that I believe that Lewis’s fourth age is a reality. Re-enchantment can happen for Adventist like Luke. We can choose to accept that we are part of an imperfect church filled with imperfect people who serve a perfect God with a glorious message. For sure, there are those who have been maimed by church politics, dragged over the coals for divergent (but non-essential) theological views. Yet, there are many noble people, and life changing organisations that exist, and in the fourth age we accept the reality that thorns are part of roses. In my fourth age renewal, I came to a deep conviction that the fulcrum of Adventist theology, namely, “God is Love” is true. If it is true then all bets are off. If I can trust the heart of God, then I can wrestle boldly with Him when I don’t understand his actions, or am wounded by his people. Do you think that these four ages can be applied to other areas of life? Can we simultaneously experience different stages of these ages in areas of our life? Would love to hear your thoughts.